Gripsweat - June Evans - Believe In Yourself - Hardly Need To Say - HH0010 !HEAR! 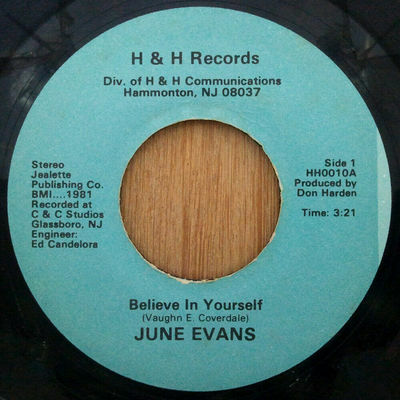 June Evans - Believe In Yourself - Hardly Need To Say - HH0010 !HEAR! All 45's are original pressings. Sound clips are recorded from the 45 up for auction. Check actual conditions of sound(below) and label(top) before your bid. Please wait for an invoice with an accurate shipping total before making payment. I accept Paypal only. Payment should be made within seven days of auction close.